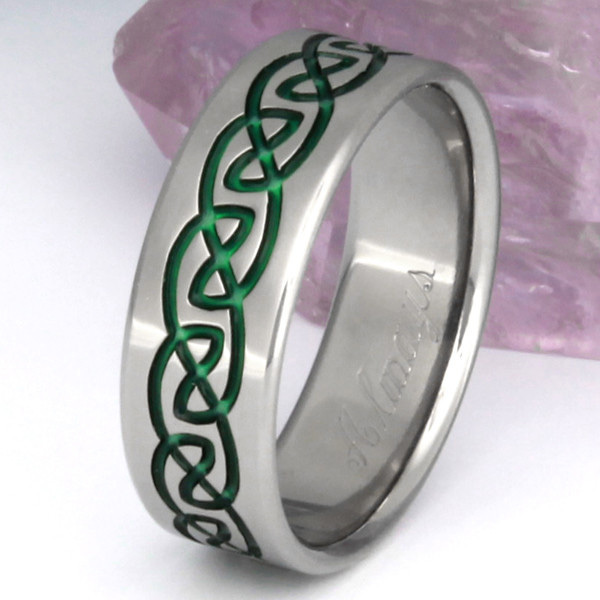 Green Aircraft-Grade Titanium Celtic Knot Band. Wear as a standalone ring or a wedding ring. The green colors you see accenting the titanium are a layer of titanium oxide we've anodized onto the titanium in an electric anodizing bath. 7mm wide. Also available in 6mm - 10mm widths. Our colored inlays are the result of a powder coating / anodizing process which creates a titanium oxide that is very durable and strong. The inlays are also protected from scuffs and scratches by the surrounding titanium. 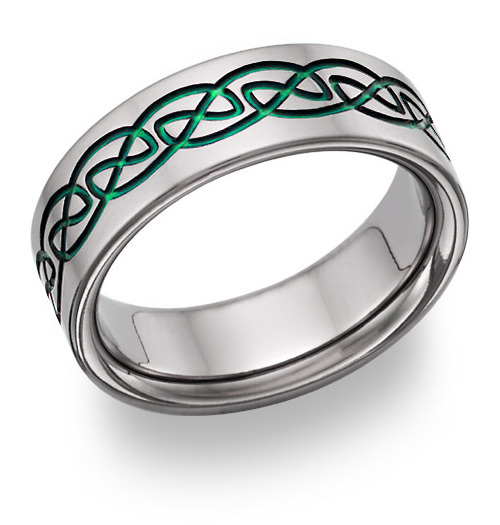 We guarantee our Green Titanium Celtic Wedding Band to be high quality, authentic jewelry, as described above.